No-fault is coverage under the automobile insurance policy of the New York vehicle you occupy at the time of an accident. You may also be eligible for this coverage if you are a pedestrian hit by a vehicle. This coverage is designed to pay for your lost wages, medical bills and other medically-necessary expenses. This means that your doctor must put everything in writing. It is called no fault insurance, because it is available regardless of who caused the accident. In most cases, yes. You would be eligible for no-fault coverage available through the rented vehicle and still have the ability to use any “extra” coverage you may have paid for on your own automobile insurance policy. We can assist you in determining what coverage applies to your specific situation. 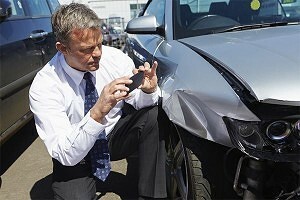 What types of “extra” no-fault coverage are there? Yes. Medical bills must be submitted to the no-fault carrier within 45 days of the date of treatment. Therefore, it is imperative that you give your medical providers the no-fault information as soon as possible. Any treatment that is denied payment because of the 45-day rule, could result in your becoming personally responsible for the payment of that bill. Never assume that the bill is being taken care of. Be certain to submit all bills, including duplicates, immediately upon receipt. Essentially, no. There is no law that says your benefits expire after “x” days/weeks/years. As long as your medical providers have indicated you will need treatment beyond the first year from the date of the accident, then No-fault will continue to pay for your medical treatment and prescriptions until the dollar amount is completely used up. However, no-fault could send you to an “independent” medical doctor to have your medical status and treatment verified. If a no-fault doctor examines you and determines you do not need that type of treatment, you could be denied benefits based on a lack of medical necessity. It is your treating medical provider’s obligation to justify the need for the treatment you are receiving, and that it is directly connected to your automobile accident. There are various options available to you and/or your medical providers if no-fault denies payment for specific treatment, medical testing, or even for a particular specialist. There are various avenues available to contest or refute a denial. Some options should not be taken right away, as they could put you “on the hook” for payment of the bill yourself. Contact us to discuss your no-fault denial options. If you have questions concerning your state’s auto insurance laws, visit here for information. If you or a loved one has been injured in a no-fault auto accident or any other no-fault insurance accident, call us now at (800) 888-8888 or contact us.